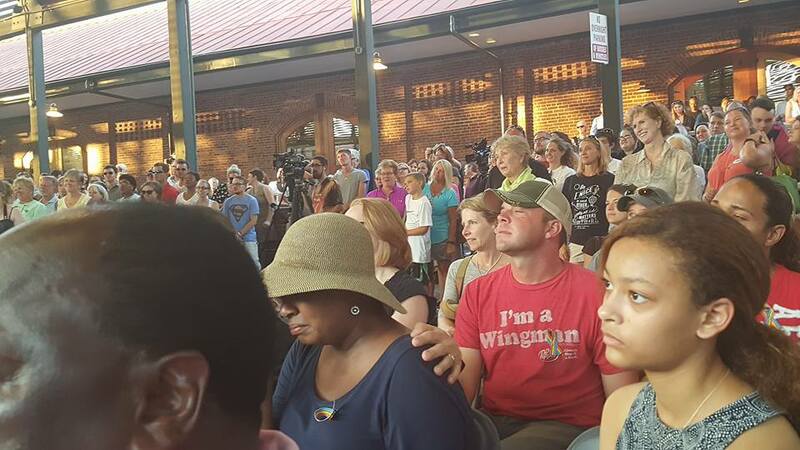 Last night at the Visitor’s Center Bus Shed Charlestonians gathered for a vigil to Stand With Orlando. Local members of the community spoke including Mayor Tecklenburg & Dot Scott from the NAACP, Ryan Lill sang a beautiful version of “True Colors”, and people came together to show support for Orlando, the LGBTQI community, & promote love over hate. After the vigil I spoke to Josh Dukes, Jason Guerra, Beck Danger, Ryan Lill, Donnie Ray, Lindsay Craft, Mandy Horne, & Angharad Chester Jones.